De Aar Solar Power is located 6 km outside the town of De Aar in the Northern Cape Province of South Africa. Globeleq South Africa develops, constructs and manages energy projects as part of the South African government’s Renewable Energy Independent Power Producers Procurement Programme (REIPPP), which allows for foreign investment in renewable energy.. 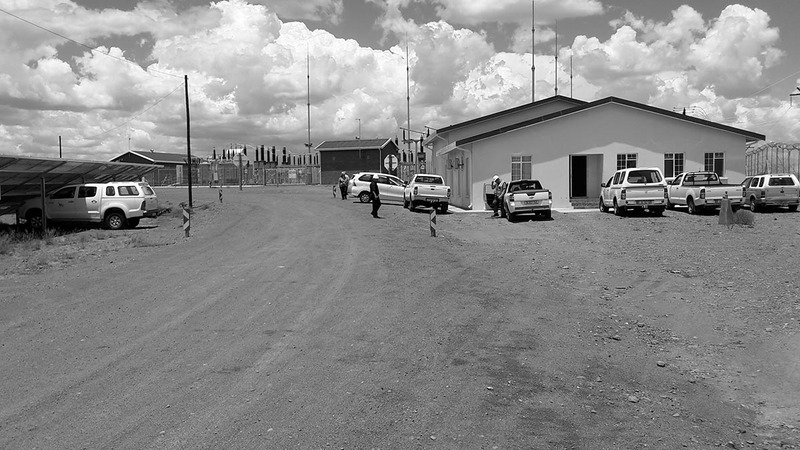 The facility is based on over 100 hectares of Emathanjeni Municipal land, and comprises 167 580 solar panels. The brief was to upgrade and expand the existing operations & maintenance building, to a ‘finish level’ similar to the Globeleq Head Office in Cape Town. The existing footprint was to be expanded to accommodate the new, updated brief. This meant that the position and aspect of the building was fixed. The design concept is the idea of a raised, shaded nest from which to view the landscape. Due to the extremely hot climate, the roof, with help of timber struts, cantilevers massively over the large glazed areas of the first floor office windows that in turn overlook the entire solar farm. The intent was also to introduce a ‘human’ scale on this industrial site. A ‘softer’ building suited to habitation and shelter, surrounded by intense heat and industrial structures and machines. The functional spaces, with mostly modestly sized windows, remain on the ground floor with only the permanently inhabited office component raised to first floor, with a grand view of the array and surrounds. The detailing of the roofs is the most elaborate and noticeable architectural feature, in contrast to the functional aesthetic of the remainder of the building. This elaboration mostly happens in conjunction with large glass openings and spaces where the buildings inhabitants spend much time, like the offices and cafeteria. We introduced a mixture of natural finishes and punchy colours into the interiors of the cafeteria and bath- and change rooms, partially to counter the industrial nature of the site the building is situated on and in reference to some of the colours used at the head office in Cape Town. This is the first project that we have done in a joint venture with BEAL Africa, where we provide architect services and BEAL provide client and project management services, as well as being responsible for site supervision. The gate house got a similar treatment to the main building and as you can see, someone is excited about it!